BOR-A 550 is a Ground and coastal (sea) Surveillance Radar (GSR) suitable for army, border/coast guard and security applications. It combines surveillance of ground, sea and lower level airspace in one radar system whereby moving targets will be detected, located, automatically classified and tracked day and night under all weather conditions. It has a proven performance at long ranges especially against today's threats (small & slow targets like persons or rubber boats) and is already successfully in-service in Germany and with customers (Armies, Navies, Security Forces) in all continents. BOR-A 550 ensures an immediate assessment of the situation by displaying precisely the detection directly on a digital map. The detection will be automatically classified. Unique features are Track-while-Scan (TWS), an integrated Positioning & Northing Unit (option) and a most comprehensive ECCM suite (incl. frequency agility in a bandwidth of 200 or 800 MHz). Mode 1: automatic 360° or sector search for moving targets. Mode 2: antenna controlled in range and bearing by the operator. Mode 3: small angle search of restricted area to locate, for instance, tracked vehicles which have stopped or disappeared behind an obstacle in the field of view. 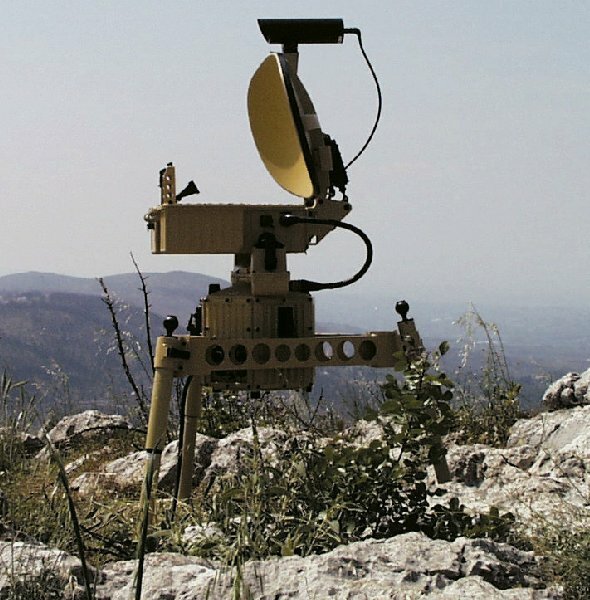 Mode 4: automatic tracking in range and bearing of a single moving target. THALES claims that BOR-A 550 has a mean time between failure value of more than 2,000 hours and notes that the equipment is suitable for networked operations within a command, control, communications and intelligence system.